Getting new users to like your app is like an artist working with cement. You have moments to make an impact before a lasting impression is set. Don’t underestimate the importance of a good onboarding experience! Successful activation can boost a user’s lifetime value by up to 500%. Let me put it this way: effective onboarding leads to higher retention rates, which means higher bottom line profits. Unfortunately, successful onboarding isn’t that easy. New users are an unpredictable bunch. It’s hard to know when they’ll abandon your app or why. You have a narrow window to win them over, or lose them forever. With CleverTap, you can build a strong connection with new users from the very beginning by wowing them with a personalized app experience. Here are our tips for onboarding new users with an effective welcome push notification campaign. You’ve got one shot to impress new users and convince them to come back to your app. So make the most of it! Use these ‘welcome’ messages to make a perfect first impression and boost your activation rates. Gone are the days of mass blasts. Users expect personalized onboarding messages that quickly help them make the most of your app. Here are a few onboarding welcome message examples to get you started. Set a conversational tone for your app with a simple, personal push greeting. Welcome push notifications are a great way to educate your users about what your app offers and help them experience its benefits quickly. Compel your users to use your app by informing them about unique or essential features. Users often need incentive to get started with your app. Tempt inactive users to come back to your app with personalized offers and coupons. Send customized promotions and discounts to your users who have shown purchase intent to drive conversions. If there’s one thing mobile app users hate, it’s spammy messages. Carefully consider how many push messages to send new users and when. There’s no one-size-fits-all approach for push cadence — the right amount will vary depending on your app type and user base. A news app could send several pushes a day with relevant breaking news, while a travel app might only send one push a week notifying users of the latest travel deals. To strike the right balance, keep messages helpful and relevant to each user’s preferences. A clear, concise CTA directs new users to take the desired action, and gives them a compelling reason to do so. “Try it out,” with a caret pointing in the direction of a swipe, makes requesting a Lyft shuttle seem easy. Marketing is all about having the right conversations with the right people. 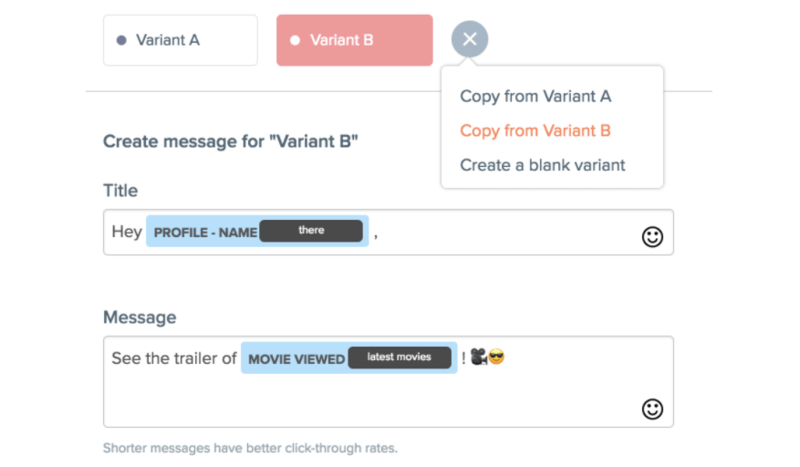 Send multiple versions of the same message to see which version resonates with your new users, and keep improving your welcome campaign results. Pair your push notifications with a welcome email or in-app message to increase your impact. Example: send a welcome push for top-rated restaurants in a user’s delivery area. 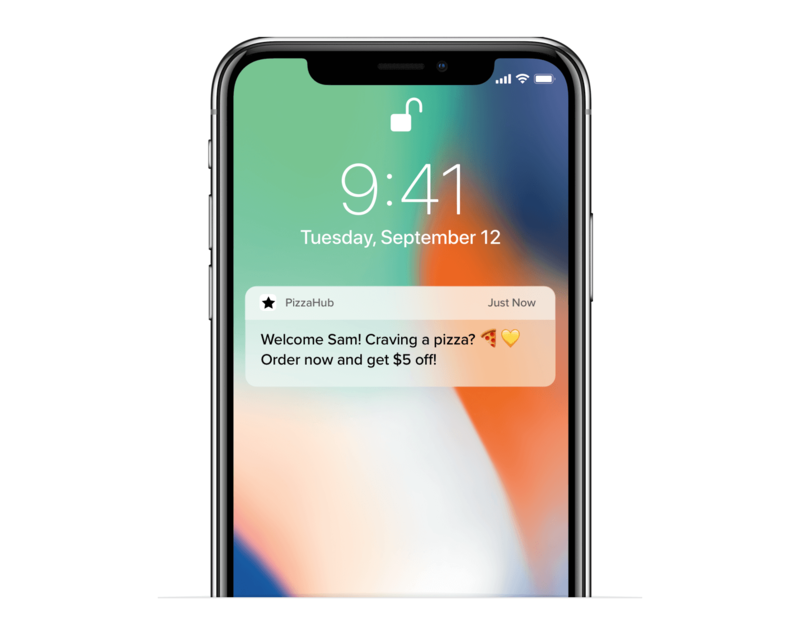 If they click the notification to open the app, trigger an in-app message offering $10 off or free delivery for their first order. Automate app onboarding with Journeys, our visual campaign builder. 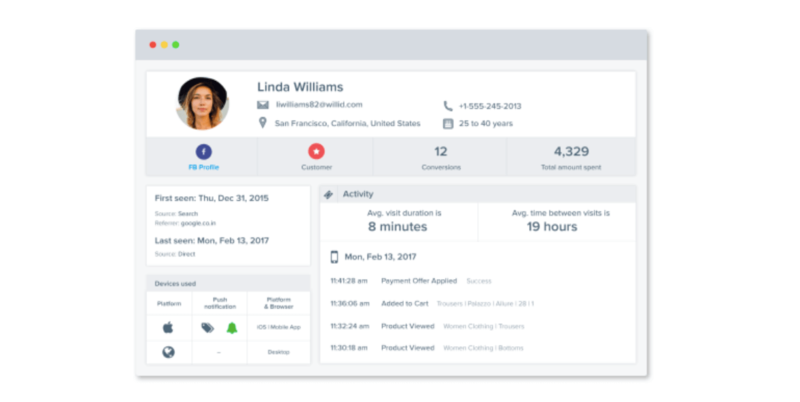 Trigger messages based on real-time user actions to keep new users moving toward conversion goals, without over-messaging them. Your users are at different stages in their app journey. There are some who have logged in and have started exploring your app, while there are others who haven’t even launched your app after the install. One engagement strategy won’t work for all of your users. You need to create various segments of users and nurture them over time. Use Clevertap’s powerful segmentation engine to build segments from the interest of your users, and monitor their behavior over time. You can also create segments based on actions that users have performed (or haven’t performed) inside the app. You could segment the users that have registered and played a few videos but haven’t created a playlist yet. Further detail your segments based on geolocation, genre preferences, and other user-specific attributes. More than 70%* of users uninstall apps because of annoying notifications. A push notification prompting to watch a video on a Monday afternoon can be irritating. It’s critical that you engage with users when they are most likely to engage with your app. CleverTap’s rich user profiles store details like install source, last seen user location, and a log of all the actions the user has performed in the app, so you can send personalized messages in a single click. Did you know that emojis can improve CTRs by 124%? Read our tips for including them in your push notifications. Say you schedule your campaign to run every Wednesday. Every week, a fresh batch of inactive new users will automatically receive your targeted campaign. It’s always better to test than guess. Let your users tell you what content works best. 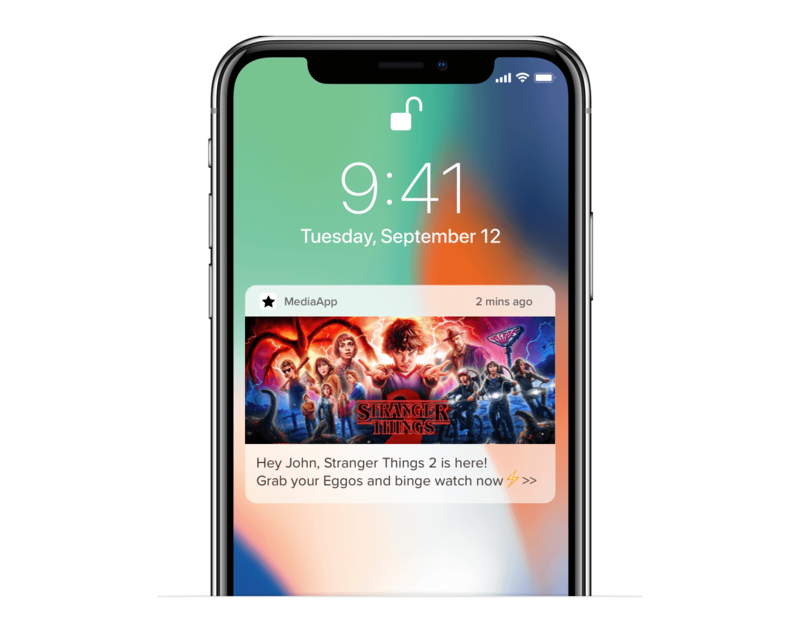 A/B test the ‘Welcome’ message for your app on CleverTap. Make multiple variants of the message and gauge performance with a test set of users. The winning variant will be sent to the rest of the qualified users. 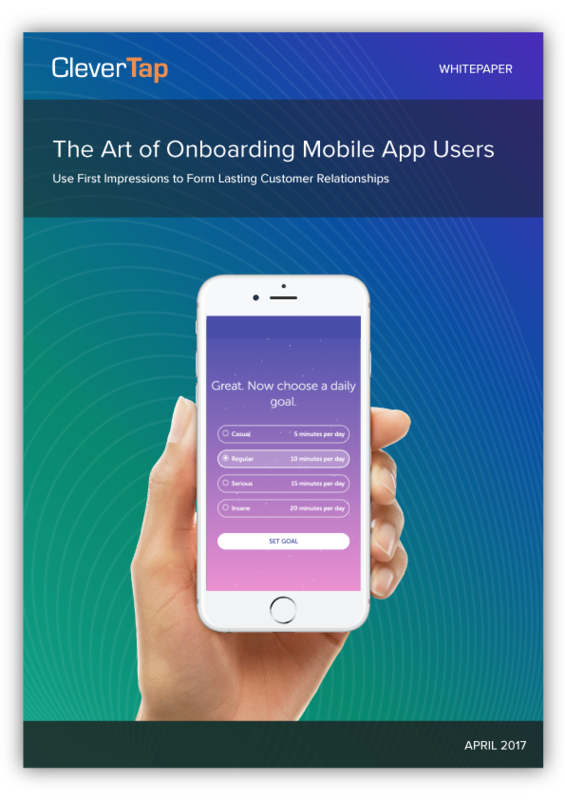 An effective onboarding experience can make or break your app. So get it right, right from the start. Want more expert onboarding advice? Talk to our mobile marketing pros in a 1:1 demo. See how today’s top brands use CleverTap to onboard new users.